If you’re old enough to have worked through Total Quality Management’s (TQM) heydays in the 1980s and 1990s, there’s a good chance you remember an interesting paradox when it came to measuring customer satisfaction: If your customers had a problem that you fixed for them, their total customer lifespan could grow enormously. The trouble, of course, was that if you didn’t know a customer was having a problem, that customer was highly vulnerable to being snatched up by competitors. Customer experience is larger than customer touchpoints in that it takes into account both direct experiences and customer journeys with your organization. An online shopper could be very satisfied with all the touchpoints to make a purchase yet be dissatisfied with the overall experience because there were too many steps. In a brick-and-mortar retail scenario, a customer could like her salesperson, the price of the product she purchased, the friendliness of her cashier and even the after-sales support she receives, but still come away dismayed if she disliked the store’s location, cleanliness, layout or even the décor. As a solutions provider, you’re likely familiar with the concepts of customer experience at least to an extent since many of your technology solutions promise to simplify (read: improve) customer experiences. Unified communications (UC), call centers, cloud services, automatic backup and recovery—all of these help your clients improve the experiences of their customers. Stop fooling yourself. 80 percent of organizations believe they’re delivering a superior proposition while only eight percent of their customers think so. Maybe you’re in that eight percent, but since there’s a nine out of 10 chance you’re not, don’t make any assumptions. Learn your customers’ needs. Ask them what they need and what’s important to them. It’s a simple but powerful truism that it’s far easier to be successful when you know you’re delivering what your customers want as opposed to what you think they want. Everybody thinks they’re customer-driven, yet few are. Think about your own experiences as a customer and reread tip No. 1. Don’t ignore touchpoints. Good individual touchpoint scores don’t always add up to good customer experience scores. But this doesn’t mean you should scrap your efforts at improving those touchpoints. To the contrary, it’s extremely difficult, if not impossible, to deliver a good overall customer experience if any one of those your touchpoints results in a negative experience. Build your customer relationships. Yes, it’s harder than ever before to build and maintain close customer relationships, but because of that, the payoff is greater than it has ever been. 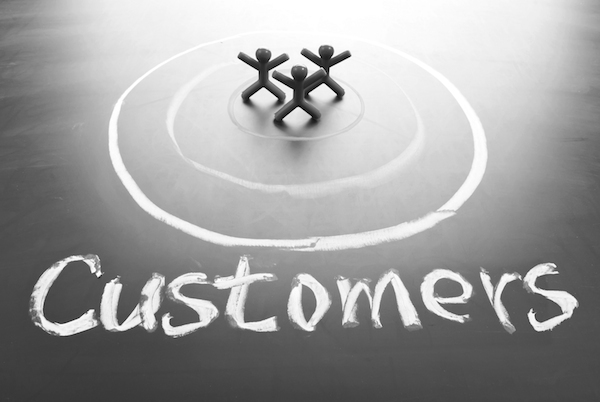 Here are some tips to get you started on rekindling customer intimacy. Simplify the customer experience wherever possible. The more headaches (think friction) you can take away from your clients, and the easier you make it for them to resolve problems, the better. This can range from formal programs (i.e., services you manage for your clients) to empowering front-line employees to quickly make decisions and solve problems. And on the process front, always strive for fewer steps, less paperwork and less bureaucracy. The bottom line is the idea of “customer experience,” like all concepts that catch fire, has been both overhyped AND underleveraged. This is largely because most business managers don’t have the tools to properly address it. We’re here to provide you some knowledge that will help you to tackle this tricky issue.